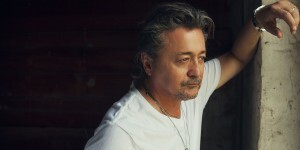 An Interview With CMT’s Nashville Actor and Singer-Songwriter MARK COLLIE! Get to know CMT’s Nashville actor Mark Collie! Mark recorded this project 15 years ago and it was re-released by Eagle Rock Entertainment FROM THE DATE on October 14th. He performed with Clarence “Gatemouth” Brown, Shawn Camp and Kelly Willis in front of the men at Brushy Mountain, heard their stories and gave them a sense of hope. Some of these men had never even had someone “from the outside” genuinely want to talk with them. The recording was inspired by his idol Johnny Cash and stemmed from the documentary that recently aired on the DISH network. 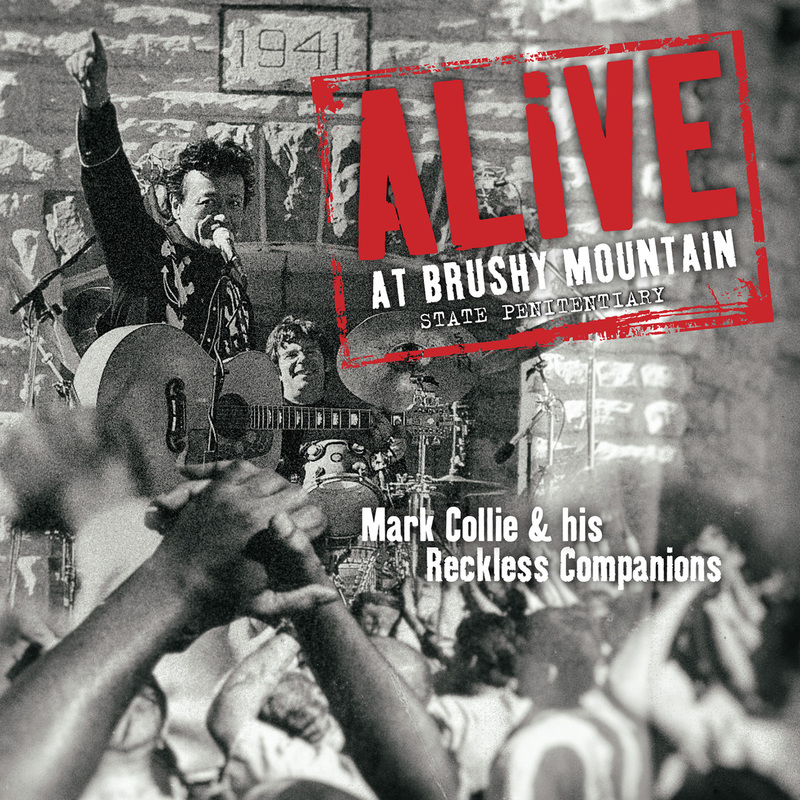 Eagle Rock Entertainment reissued Mark Collie & His Reckless Companions: Alive At Brushy Mountain State Penitentiary and it was released on CD, vinyl and digital formats. Collie supported the release with a signing and appearance at the Grand Ole Opry that same day. The album was originally issued by an independent label in 2012, after more than a decade of being in the vault at MCA Nashville. 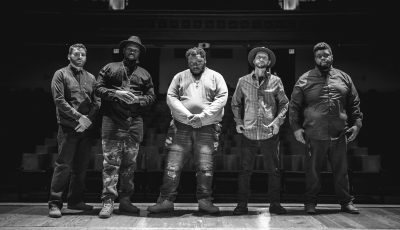 Collie’s band on the project includes guitarist Dave Grissom, keyboardist Mike Utley, guitarist-mandolinst Tommy Burroughs, accordionist Hassle Tekkle, bassist Willie Weeks, and drummer Chad Cromwell. Camp plays guitar and fiddle on the album in addition to taking lead vocals on two tracks. Collie has penned songs for Garth Brooks, Tim McGraw, Aaron Tippin, George Jones, and Alabama. In the early 1990’s, he enjoyed Top 10 country hits on MCA Nashville with “Even the Man in the Moon Is Cryin’” and “Born to Love You.” He appears as bar owner Frankie Gray on the series Nashville. Thanks for your time! Now that we are now in the fall of 2016, what are some words you would use to describe this year? What have been some of the highlights for you and your music? I would say the completion of “The Mountain” documentary that began at Brushy Mountain and now the release of the record 15 years after we made it. It’s been a long journey but I believe it has been worth it. Growing up, did you always want to be a musician? Can you recall your earliest musical memory? Can you imagine doing anything else today? Growing up, no I didn’t always want to be a musician, but I sort of walked into it. Listening to the radio just took me places; it made me feel better and was a comfort. And then when I was 8 or 9 years old, my Uncle Joe gave my brother Steve a guitar and my brother told me if we touched the guitar he’d kill us, so he would hide it under my grandmothers bed. Then when he would leave, I would go get it and bang it around and start trying to write songs and play. I wrote songs because I couldn’t play enough chords to play a song, so I made up a song with the few chords I knew. I’m curious to know how/if your experience on “Nashville” has influenced you as a musician? Not so much as an artist, but I do have a few more tales to tell in songs now. (Laughter) Has it influenced me as an actor yes; while I don’t really consider myself an actor, but as an actor I grow every time I do it… similar to when you make a record, it is all a collaboration. 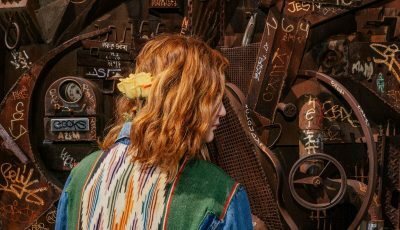 What’s it been like writing for artists like Garth Brooks, Tim McGraw and others? What did those experiences teach you about music and writing music? It has been really rewarding and it is always great hearing somebody sing my song and I’ve been really blessed to have a lot of great artists record my songs. I’ve been around a lot of great writers to help me grow as a writer and a record maker. You just re-released your album, “Alive at Brushy Mountain State Penitentiary.” You recorded this collection 15 years ago. Why do you think now is the time to put this collection out again? It’s an important record for me because of what lead me to make the album, which were in part due to my conversations with Johnny Cash and Merle Haggard. When John went into prisons with music he tried to shine light into darker areas of our society and I felt like I wanted to make music that might make a greater difference. At that point in my life I wanted to do something more with my songwriting and my records and that is why I wanted to do it. I didn’t know it would be as difficult a road or as long of a journey to tell this story, it’s been a long time coming. There are some great guest artists on the album like Clarence “Gatemouth” Brown, Shawn Camp and Kelly Willis and a lot of great musicians. Tim [McGraw] came up to support me which meant a lot. I hope when people view the documentary “The Mountain” and see why and how the songs matter to those behind the walls they will have a better understanding of why this was so important to me. I thought the documentary would have been ready sooner, but God had a different plan. And I think He will use this movie and music now to make a difference peoples lives. I’m just glad that people will now have the opportunity to hear it and I hope they find something good in it. How excited are you to be releasing the record at the Grand Ole Opry next month? I love the Opry. I love every opportunity to go out and sing there and having this album reissued and celebrating it at a place with so much music history, I couldn’t think of a greater honor for myself than that. 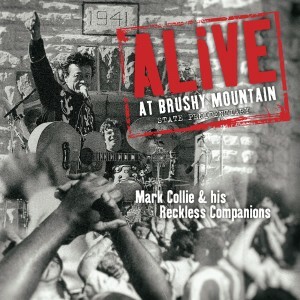 I am so looking forward to it, because it will be 15 years to the week since I recorded the record at Brushy Mountain. I’m always interesting in knowing why artists choose to release their albums on vinyl, CD and digital formats? What do you think about the resurgence of vinyl these days? I love listening to music on vinyl. If you can listen to it, you should. There is something about it that creates a listening experience. For me, it is my preference and I am glad to see the resurgence of it. Do you think you have changed or grown as a musician since the record first came out? Can you talk about playing your character in “The Punisher”? What was that experience like for you? I made a friend in Los Angeles years ago Jonathan Hensleigh and he was a country music fan and I didn’t know what he did at the time and turned out he was a film maker and I told him to put me in a movie one day. He called me one day and told me he was doing a Marvel comic film and there is an assassin named Harry Heck said “you’re him”. So I got that job and walked into it by accident. The assassin writes a song for every person he kills as the story goes and so I wrote the songs. We actually intended to include “On The Day I Die” from the Brushy record in the film, but due to licensing it couldn’t be used. So day of shooting, I ended up starting “In Time” and Hensleigh loved it! I’m inspired by every great song I hear. There are some inspirational writers today like [Chris] Stapleton and [Ronnie] Bowman and I listen to a lot of great songs. When I am writing, I try my best not to listen to the radio any more than I have to so I can try to have an original thought. But I love what is going on in the formats now in Country and Americana and there are a lot of great new acts and artists. As a kid I was inspired by everything I heard including Johnny, Haggard, Beach Boys, Beatles, Ray Charles…. I’m an American. I love music. 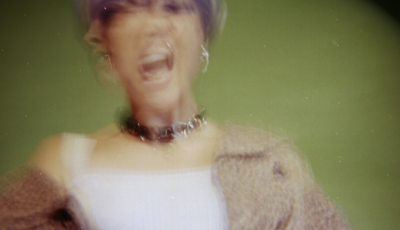 When you aren’t performing, working in the studio, what do you like to do in your spare time? How do you unwind from it all? Go home, get in the woods and travel with my wife Tammy. I hope they will be entertained and inspired. I hope that they will find something in one of the performances that will make them feel better. I want everyone to know I appreciate having the opportunity to make music and thank people for giving me that chance. I really appreciate it.